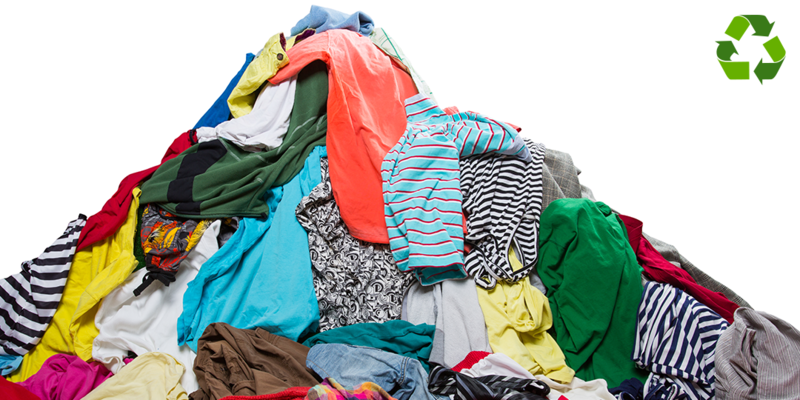 Less than 1% of material used to produce clothing is recycled into new clothing at the end of its life. In a world where recycling is becoming increasingly crucial to the survival of human kind and the animal kingdom, why are fashion retailers so slow to react to the plight of sustainable fashion? In the past 30 years there has been a focus on the pay and conditions of the workers making these fast fashion clothes, including heavy criticism of brands exploiting child labour to keep churning out garments that sell for double what they earn in a year. Instinct tells you not to buy from these brands, however, if they don’t sell, what happens to these workers? They don’t get paid. Most fashion retailers have gotten away with this for years and according to the Environmental Audit Committee, “overproduction and overconsumption of clothing is based on the globalisation of indifference towards these manual workers.” We as consumers in the developed world must accept this as a realisation and put all our efforts into stopping exploitation for quick turn around clothing that nine out of ten times, ends up in landfill. In a report released this week, the Environment Audit Committee has called on the government to end this era of throwaway fashion, a craze that millennial shoppers have grown accustomed to from their teenage years into adulthood, through the introduction of H&M, Zara, ASOS, Primark and more recently, Missguided. So where does this leave the next generation, or Gen Z as they are commonly known? Cybertill and YouGov conducted research into these 18 to 24-year-olds to dig deeper into their shopping habits, but one thing that stood out more than anything, was their similarities to their grandparents’ generation rather than their parents. They are more socially conscious and aware of the environment and treat money with more respect than Millennials and Gen X – Millennials may not know how to darn socks, but Gen Z just might. We welcome the recommendations from the committee to add lessons on designing, creating, mending and repairing clothes to the school curriculum, these are life skills that have been slowly diminished over time. However, fashion sustainability is only going to work if both retailers and consumers are on board, and the suggestion for the scheme to reward companies that design products with lower environmental impacts and penalise those that do not is a step in the right direction, but what about rewarding customers who are proactive in supporting sustainability? Marks and Spencer are a great example of how retailers should be partnering with charities to encourage sustainable fashion. The Shwopping initiative, not only encourages customers to donate, those who are part of the Sparks loyalty program can earn rewards for doing so. H&M have offered a similar initiative for a few years, rewarding donors with a voucher for dropping off unwanted textiles – not just H&M branded clothes. Interestingly, H&M Group are one of the few retailers who have a whole section of its website dedicated to sustainability, providing a clear and open communication on its strategy. Fashion retailers can go further than to offer donation boxes in stores, but they need to have the technology in place to handle services for repairs, tailoring, donations and tracking recycling from donation to reuse, along with an intuitive stock control system that reduces unsold stock and wastage. Whether or not the recommendations get put in place by the government, there is a definite shift in consumer’s embracing sustainable fashion in one way or another is the new trend to embrace, and fast. For information on how retail management software can help fashion retailers become more sustainable, click here.